R.I.P. 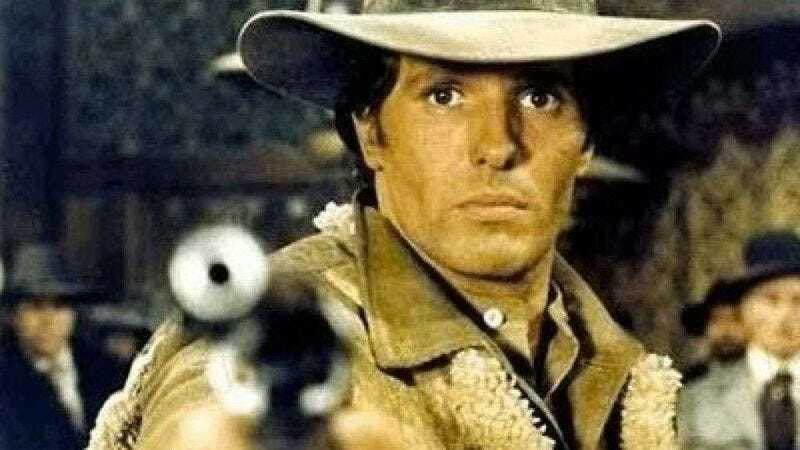 Giuliano Gemma, spaghetti Western star also known as "Montgomery Wood"
Italian actor Giuliano Gemma has died, in a car accident in Rome. He was 75. Gemma—whose distinctive features included a scar on his cheek, which he received after an explosive device he found while playing as a child during World War II went off in his face—initially broke into movies as a stuntman. He appeared in more than 70 films during his long career, including credited appearances in the William Wyler-Charlton Heston version of Ben-Hur (1959), the Vittorio De Sica-Sophia Loren segment of the 1962 anthology film Boccaccio ’70, and Luchino Visconi’s epic masterpiece The Leopard (1953). Gemma had his first leading role in Duccio Tessari’s My Son, The Hero (1962), a sword-and-sandal comedy best remembered in America for a self-mocking trailer narrated by Mel Brooks. But Gemma is probably best known for his work in spaghetti Westerns, where he was often credited under the Americanized stage name “Montgomery Wood.” Tessari and Gemma turned to Westerns with 1965’s A Pistol For Ringo and its sequel The Return Of Ringo (1965). The next year saw the release of Kiss Kiss Bang Bang, whose title was swiped by film critic Pauline Kael for her second collection (but has no connection to the 2005 Shane Black movie.) Gemma also made a successful, loose trilogy of Western films with the director Giorgio Ferroni: One Silver Dollar (1965), Fort Yuma Gold (1966), and Wanted (1966). After the Italian Western genre petered out in the 1970s, Gemma continued to act in crime pictures and giallos, including Dario Argento’s 1982 Tenebrae, as well as on TV. Last year, he was seen in one of his rare English-language films, playing a hotel manager in Woody Allen’s To Rome With Love.